The newest addition to Vx Solutions, the RoHS-compliant Vx 670 is a radical revolution at hand! With PCI PED approval, this is the smallest all-in-one handheld payment device that is specifically for wireless, customer-facing payment. VeriFone's patent-pending MAXui design provides the largest user interface for an all-in-one payment system with a large, white backlit display and large blue backlit keys. In addition, its purpose inspired design focused on real world usage is rugged, drop- resistant, and spill-resistant to hold up to the most demanding conditions. This new design is sure to open new sales opportunities because there's never been a device like the Vx 670. Wi-Fi and GPRS wireless technology options are perfect for accepting payment in restaurants, bars and stadiums, as well as delivery operations. It securely handles credit and PIN-based debit cards with a vertical mag-strip reader, and has optional smart card support. The Vx 670 operates utilizing VeriFone's ServPOS software, a specially designed restaurant and hospitality application that provides restaurant and hospitality merchants with a highly configurable and flexible framework for payment at the point of service. 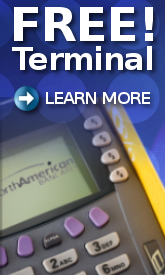 ServPOS facilitates credit and debit transactions, and with the Vx 670 enables cost-effective, secure PIN debit transactions. The ServPOS UI and prompting sequence simplifies the payment process for consumers as well as restaurant and hospitality staff making payments at the table, car or via delivery simple, fast and secure.